3D life size Elk decoy to attract approaching Elk Bulls. Tested and approved by the famous Elk Hunter Wayne Carlton. This decoy is easily packed into the field by simply rolling it up. Mono stake the decoy into the ground for hand free function. Light and easy to carry and turn to approaching Big Bulls. 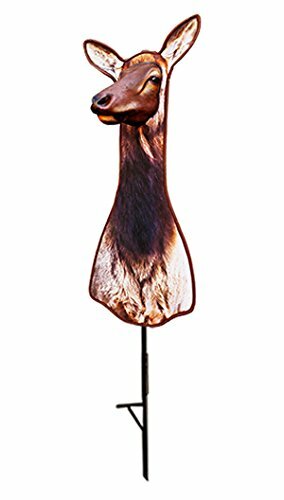 3D life size elk decoy 20" x 41"
If you have any questions about this product by Horn Hunter, contact us by completing and submitting the form below. If you are looking for a specif part number, please include it with your message.